one of the most popular styles of house right now. Whether we're talking about inside or outside the home, this is one style that we can't seem to get enough of lately. These houses aren't the typical farmhouses of the past that you'd find on an an actual working farm surrounded by cornfields and pastures, but they elicit the same feelings of comfort and safety. The style of those old homes were simple so that the structure could be put up quickly, efficiently, and cost effectively. And today's modern version still draws on that simple, no fuss look. There is no one right way to do farmhouse style, and that is one reason why it is so appealing. You can tailor and customize the trend to suit your needs and desires. 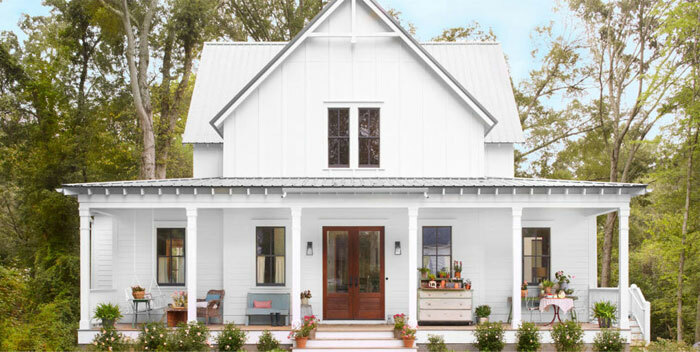 The basics that make up the modern farmhouse can be adapted to make the house completely your own. This style seeks to combine the feeling of the old utilitarian house on a farm with all the things we desire in a modern home. Over the years, the style of my dream home has changed dramatically......even before my fascination with Fixer Upper. Growing up, (those years where the value of money means nothing) I wanted a large, fancy, perfectly put together mansion with lots of space. Then the size of my mansion began to get a little smaller and thanks to Trading Spaces (remember that show?!?!) I grew to like the idea of actually fixing a place up on a budget. Now, my dream of a small mansion has turned into a farmhouse that needs lots of work. 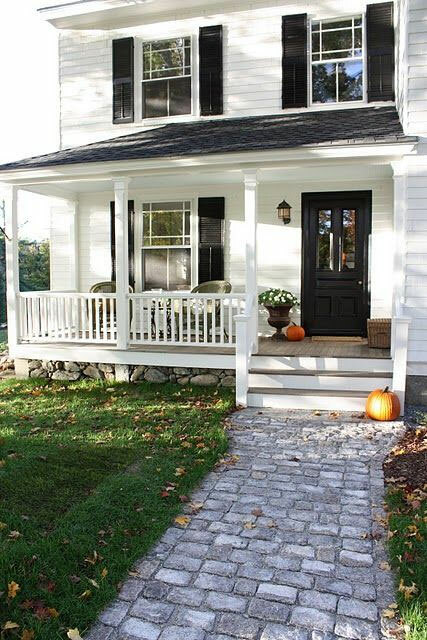 As I studied the images of farmhouse homes homes that caught my eye, I found many similarities between them. Finding those common bonds makes you realize that it is not necessary to completely remodel your exterior in order to follow this popular trend. Pick and choose from the basic characteristics below to bring a little modern farmhouse style to your own home. The ending result should feel welcoming, regardless of which elements you choose to incorporate. 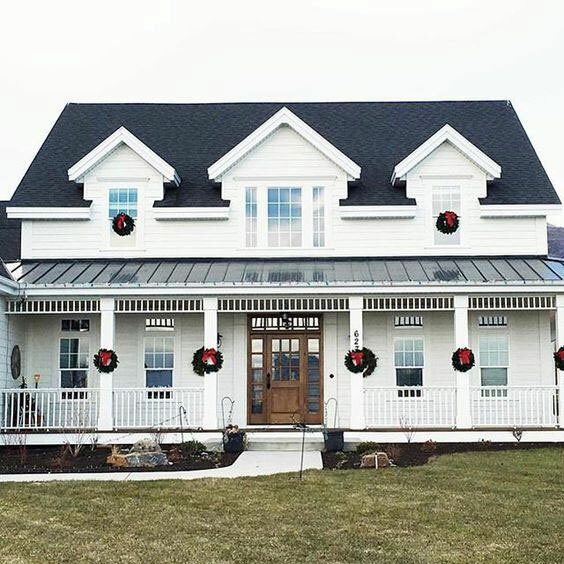 While not all modern farmhouses are white, a good deal of them are and may be covered in vinyl siding, vertical or horizontal planks, or brick. 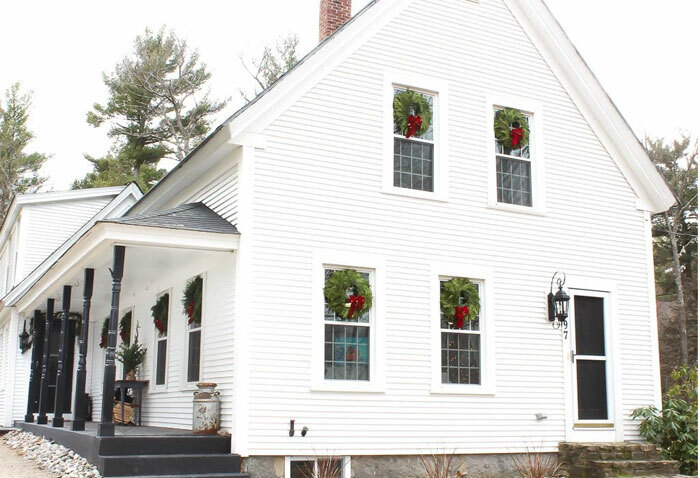 The exterior is simple with just basic trim around the windows or possibly shutters to add a little detail. Farmhouses of the past were typically covered in white clapboard siding. It is a simple, classic color. These homes were not meant to make a statement, but rather house a large, hardworking family. 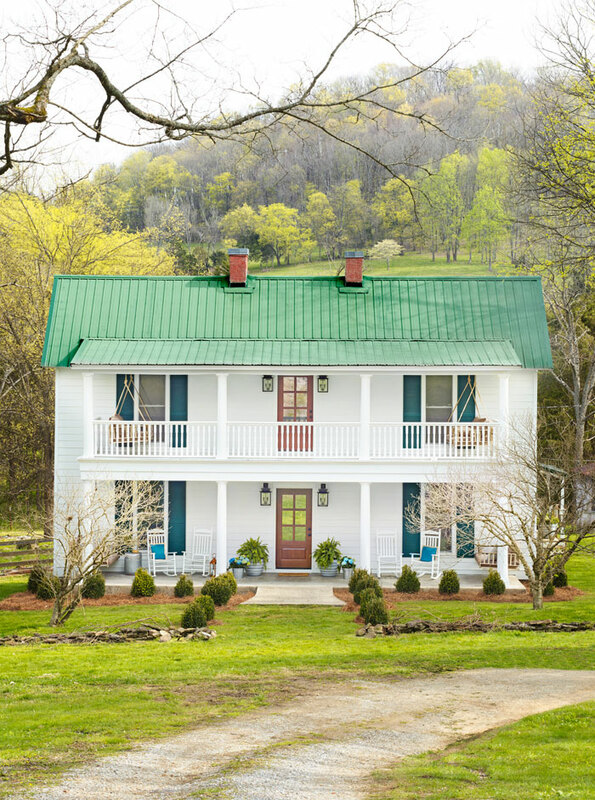 Again, not all modern farmhouses are built with a black or gray roof, but they do seem to be the most popular options. Metal roofs are being used more and more which lends an almost industrial look to the country farmhouse. A farmhouse was typically built to be rectangular in shape and may have been added onto slowly as the family grew. Oftentimes, the family lived in one portion of the house as more rooms were finished around them. The simple gable roof line was built onto the walls at a 45 degree angle to make it easy to frame and later expand the house. 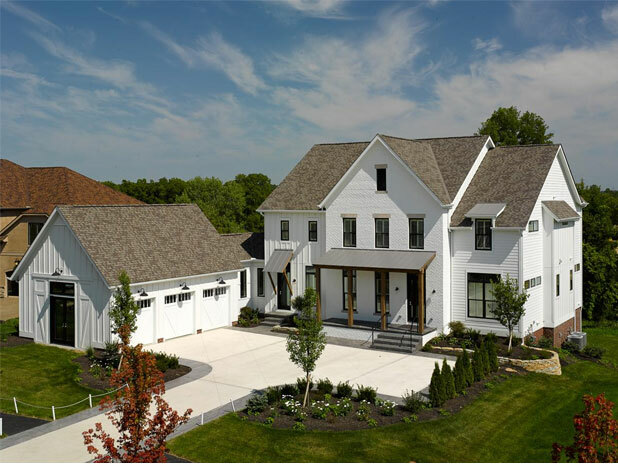 Today's modern farmhouse still maintains the simple shape, but may have additions to add architectural interest. No brass light fixtures here. Most often you'll notice these homes have a modern looking barn light or something a little industrial flanking the entry to the house. Having many windows creates a link between the inside of the house to the outside. Natural light pours in. A modern farmhouse is not a dark space. 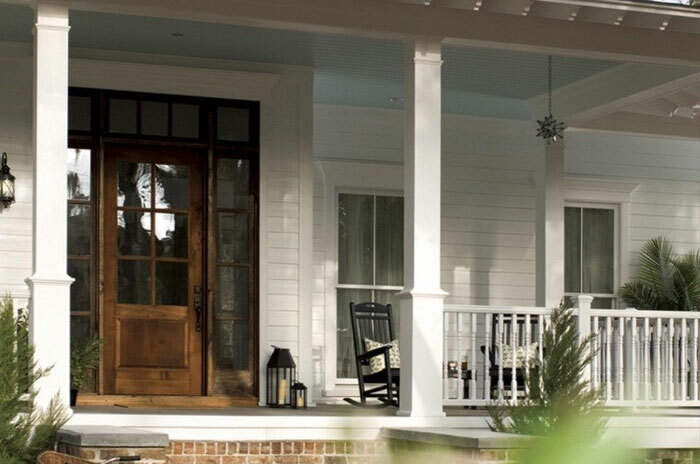 A large covered porch extended across the front of the house is common on a modern farmhouse. This space becomes an extension of the home where you can gather with friends and family. It may be a simple structure or be decorative with columns and railings and should be wide enough to hold a few rocking chairs or porch swing. 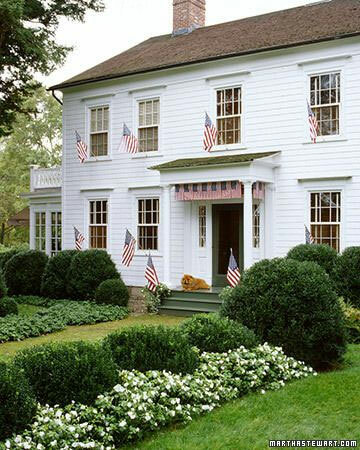 While in the past, a farmhouse would likely have been surrounded by the wife's colorful flowers growing in the landscape, the modern version is more simple with boxwood and shrubs. 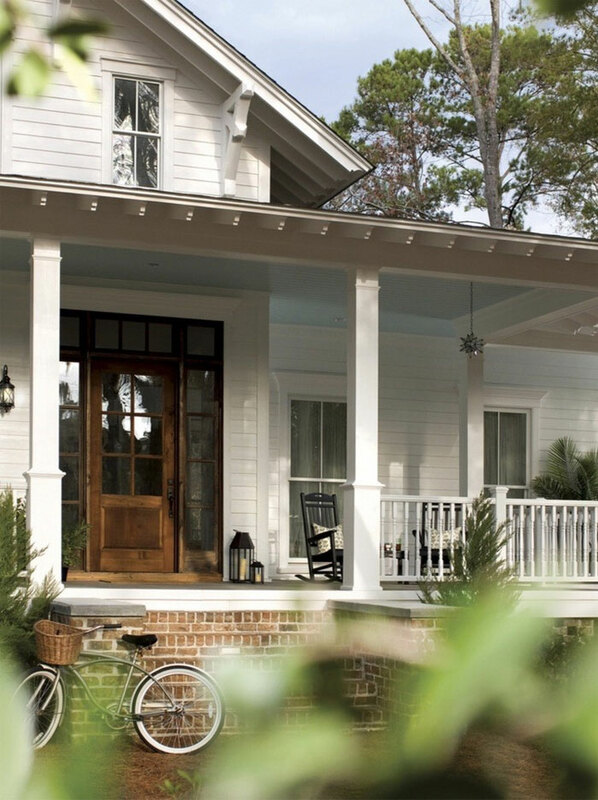 Is the modern farmhouse a style you're drawn to or do you lean towards something different? You can see all the inspiring styles of homes I've saved on Pinterest.